Alex Contreras is an Associate in the litigation section working on all aspects of trial from motion practice to appeals. Her litigation practice focuses on contract and commercial disputes and complex, multi-party litigations. Ms. Contreras has experience with shareholder derivative and class action suits. She is well versed in issues of priority of creditors in secured transactions. She has significant experience conducting large document reviews as well as preparing pre-trial pleadings and motions. Ms. Contreras has worked with clients from a diverse group of industries including aviation, banking, pharmaceutical, insurance and medical. She is currently on the Miller Johnson team representing USA Gymnastics, Inc. in a series of cases brought in several states across the country. She works on cases at both the state and federal court levels. Ms. Contreras spent her childhood in Mexico and is fluent in Spanish. 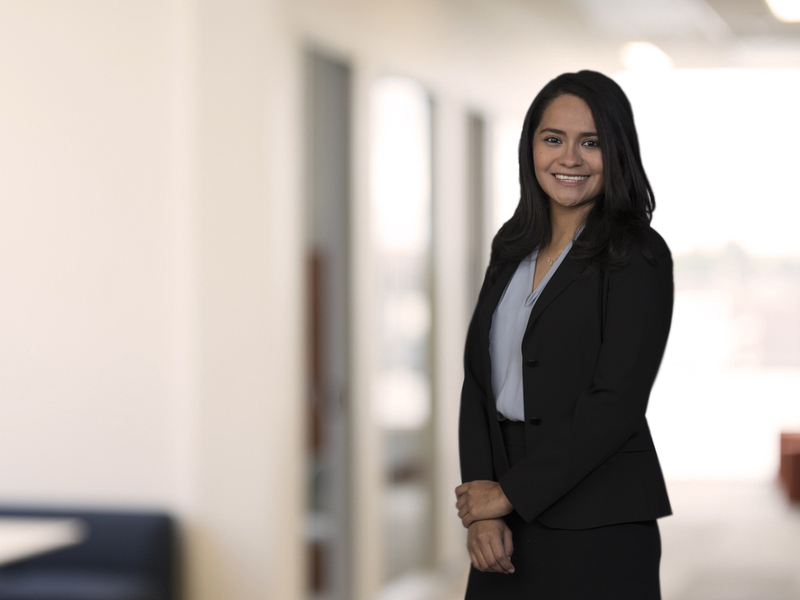 Following her graduation from New York University School of Law, Ms. Contreras was an associate in a New York City firm, where she focused on shareholder derivative suits and worked on a large bankruptcy, multi-party litigation. Ms. Contreras also briefed contract issues for a litigation between two airlines. During her time in law school, Ms. Contreras represented an immigrant in deportation proceedings in Immigration Court through the NYU Immigrant Rights Clinic. Ms. Contreras also spent her summer after her first year of law school interviewing dozens of immigrant victims of trafficking and filing T-Visa applications with Sanctuary for Families. Prior to attending law school, Ms. Contreras worked as a paralegal at two other New York city law firms, gaining insight into the litigation process from top to bottom. Ms. Contreras is a member of the State Bar of Michigan, the New York Bar, and the Grand Rapids Bar Association. She is admitted to practice in New York and Michigan. Ms. Contreras is a graduate of New York University School of Law where she earned her J.D. and was on the staff of the New York University Journal of Legislation and Public Policy. In addition to working with the NYU Immigrant Rights Clinic, Ms. Contreras volunteered with the NYU Immigrant Rights Project to interview immigrant detainees at detention centers and screen them for viable immigration claims. Ms. Contreras was also active in NYU’s Latino Law Students Association. She received B.A. degrees in English Literature and Political Science from the University of Rochester in 2011, as well as public speaking awards during competitions with both the Debate and Mock Trial teams. During her time at the University of Rochester, Ms. Contreras belonged to the Gamma Phi Beta International Sorority. Ms. Contreras is passionate about women’s rights, immigrant rights, and education. She is on the board of First Steps, an organization dedicated to early childhood services in Kent County. Ms. Contreras also volunteers regularly with the American Civil Liberties Union (ACLU) of Michigan.